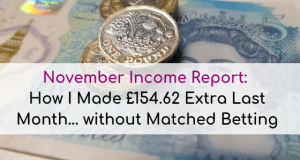 Welcome to my second income report where I’ll be sharing with you the extra income, I’ve made alongside my regular income this month. Why am I sharing my Income? So, how did I get on in my second month Side Hustling? 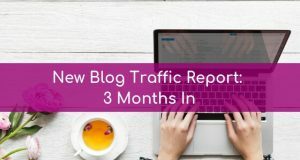 How Much Traffic Did I get to my New Blog in the first month of promotion? Where did my traffic come from? Track my income – I need to do it anyway for self-assessment. Yes, remember any additional income must be declared to HMRC. As you can probably guess from the title of this post, December was a bit of a stinker from a side hustling point of view. Unfortunately, mid-way through December youngest son (13 months) became quite poorly, ending up in hospital for around a week. Luckily, he was back home just in time for Christmas. We were worried at one point that he’d have to stay in over Christmas. It’s absolutely heart-breaking to see all the kids in the ward who have to spend Christmas there ☹. As you can probably understand, side hustling took a bit of a back seat due to this. I didn’t do any of my usual freelance work over this time either so all in all December was a pretty tough month. This is one of the downsides of self-employment unfortunately! In December I made a grand total of £94.31. With hindsight, I’m pretty pleased with this. When I worked everything out for this post it was more than I thought to be honest. So, I think this is a pretty good result considering the month we had as a family! eBay made up the bulk of my side hustling income in December. I sold a few DVD’s and box sets, a Blu-Ray Box Set and an old Xbox 360 that hasn’t been used for years to make some extra cash. 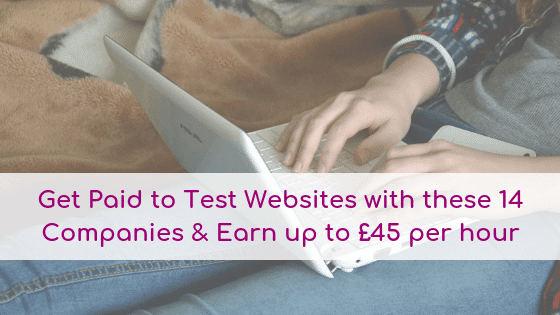 Did you know that you can test websites for money? Well, I’ve been doing just that over the last couple of months. I only did two websites reviews during December – one for UserTesting, which I was paid for in December. The other was for WhatUsersDo, but I don’t get paid until January for that one – that will appear in my next extra income report. Again, due to spending a week in hospital this just wasn’t a priority. 3. Write at least 4 Blog Posts – Yes! I did manage to publish 4 Blog posts during December – just!! I posted the last one on 30th January, so I hit this target – yay! As I mentioned last month, I seriously underestimated the amount of work involved in blogging. So, I’m really pleased I managed to post 4 times in December despite everything else going on. I signed up with Mailchimp and have installed a subscribe box – that’s about it… As my blog traffic is pretty limited at the moment, I may remove this for the time being though. I’ll then come back to building an email list once I have more traffic and content on the site. Posts published retrospectively with headlines like – ” How I got 10,000-page views in my first month blogging” …. I’m sure you’ve read one of these!!! Now, I’ve no idea if these reports are 100% genuine but I’m pretty sure they’re not the norm…. So, I want to publish a real-time report about a new blogger, with no experience. I hope this gives other new bloggers an insight into what to expect when they start a blog. This seems to be one of the main questions that come up in some of the New Bloggers Facebook groups I’m in. Publishing this honestly scares the life out of me as I have a real fear of failure. But the way I see it, if nobody reads it then, nobody really knows that I’ve failed to generate any traffic to my site. On the flipside if a lot of people read it then I will have probably made a success of this blog so here goes…. Now when I set up my Blog, I didn’t create a batch of posts and “launch” my blog… I bought a domain and published posts as I wrote then from the end of October onwards. I started promoting my blog on Pinterest in December – traffic was pretty much non-existent until then. Domain Authority: 4. This started the month at 1 as my site was brand new. The sessions and pageviews are skewed here too as it looks like a lot of my sessions have been included in this, so I won’t list out sessions and pageviews for the search channel!!! Followers: 491 up from 390 at the end of November. Pinterest Monthly Views: 52.4k / 1,090 engaged (screenshor below) up from 9,958 / 224 engaged on 1st December. Well as you can see the bulk of my traffic came from Pinterest. The small amount of Facebook traffic was mainly acquired through Facebook group share threads. I used Tailwind to schedule my pins which created a spike in my traffic up until the middle of the month. Unfortunately, when my little boy went into hospital, I let me queue run out. I hardly pinned on Pinterest at all and as a result my traffic pretty much dried up. Once things were back to normal, I set up a new Pinning schedule on 26th December. I scheduled a new pin to go live each day, before being shared onto all my relevant boards on a daily interval. My reasoning behind this is that Pinterest favours new content and consistency. So, my theory is that by staggering my new pins, rather than creating a batch of 4 or 5 and releasing them all at once, this will be preferred by the Pinterest algorithm… Will it work – who knows!!! Check back next month to see!!! I didn’t manage to get started with Matched Betting last month, but still want to give it a try. I think it will likely be towards the end of January though, once I’ve caught up with everything else. Making money reviewing websites is a fun and well-paid side hustle. By signing up with a few more sites I should be able to get more website testing jobs each month. I’m aiming to post weekly so really want to hit this one! Pinterest is a real powerhouse for driving traffic for new blogs. Unfortunately, I’m not in many group boards yet. So, I want to concentrate on trying to join a few more this month to grow my Pinterest reach. How did you get on last month with your side hustles? Did you meet your goals? Or are you trying to grow a new blog too? I’d love to hear how you’re getting on in the comments below. 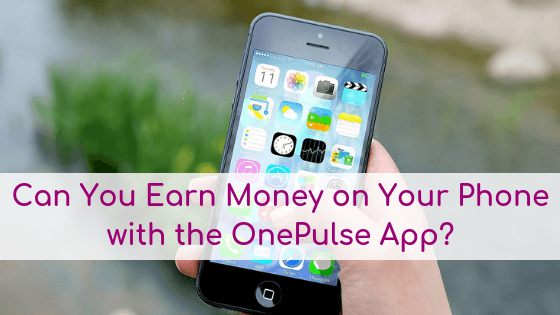 PopulusLive Surveys Review: The Best Paying Survey Site in the UK? UserTesting Review: Is it a Legit Way to Make Money from Home? Thanks for sharing you are doing great! 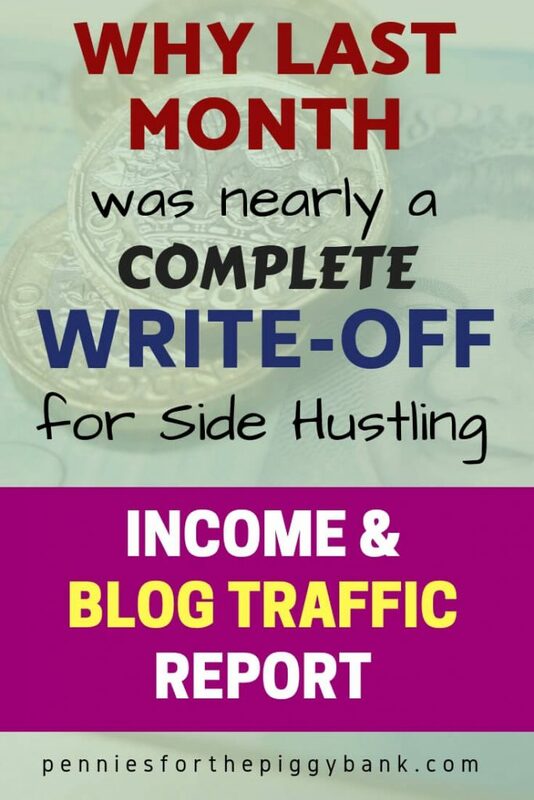 I have been blogging for years and it definitely takes time to build traffic. Keep up with consistent posting as that will be key for traffic. Pinterest is my main source as well and then organic but I am striving for lots more traffic for 2019. You will love looking back at this income report in a couple years :). Thanks for the support Kari. I’ll keep up the regular posting. Good luck with increasing your traffic this year too! Pennies for the Piggy Bank Copyright © 2019. All rights reserved.